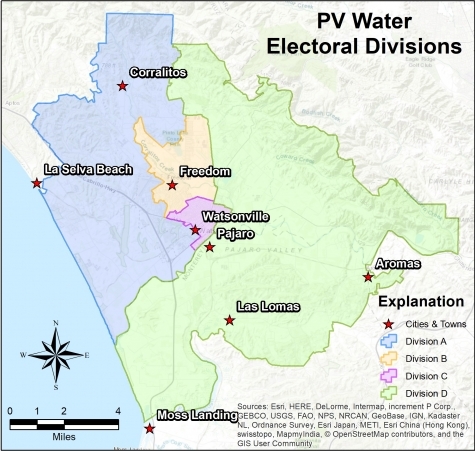 In 1980, the State Department of Water Resources issued Bulletin 118-80, which identified 447 separate groundwater basins, sub-basins and areas of potential groundwater storage throughout the State. The Agency’s boundaries were drawn as closely as possible to match the same basin boundaries described in Bulletin 118-80. The four electoral divisions (A, B, C, and D) within the Agency’s territorial boundaries were most recently redrawn in 2002 to reflect the demographic and population changes based on the 2000 Census. A high resolution version of this map is available here (2.5 MB JPG file). A written description of the original boundaries is contained in the Agency Act. For an interactive map of the Agency’s boundaries, click here. 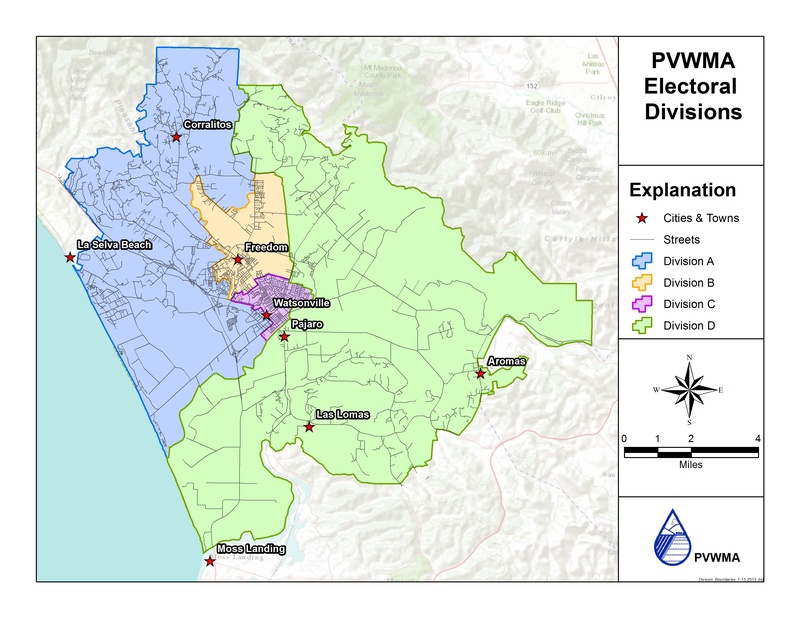 Highly detailed, printed maps are available at the PV Water office. If you wish to view these maps please call in advance so they can be made available at the front desk.